You are here: Home / CELEBRATE / Autumn / Indoor Fall Family Fun Activities to Keep Everyone Busy! We’ve had some crazy warm fall weather so far around here! My family was just together in Arkansas for a family wedding and it was hot and humid there. We arrived home to find it was nearly as bad here too. Not really the typical fall weather we’re used to. But it’s coming. That’s inevitable. And we had better be ready for it! The fall months boast cooler days, beautiful fresh fallen leaves and lots of fun. While the fall months can be incredibly beautiful, the weather can also be quite unpredictable, causing any outdoor plans you may have made to be put on hold for a better day. No one wants to be cooped up indoors during the autumn with nothing to do because of unpredictable weather. Thankfully, there are plenty of indoor fall family activities to keep everyone busy during these autumn months. Bake apple desserts. This apple cream pie is our favorite. Raid the closet with your kids and put on a fashion show. We did this as a fun way to try on our fall and winter clothing. See what fits, what needs repairs, and figure out what we need to buy! Snuggle up and read a bunch of books. Make a comforting pot of stew or chili. This chili recipe is the one I grew up on and a family favorite! Watch Halloween movies – we highly recommend Hocus Pocus (but use caution with the scary factor with the kids) and the Halloweentown series. Of course, for the littlest ones, there’s always the classic It’s the Great Pumpkin, Charlie Brown. Start a gratitude journal – a family journal can be a fantastic bonding activity. Make a DIY Thanksgiving centerpiece. This DIY turkey is lots of fun and kid-friendly. Bake pumpkin desserts. My pumpkin roll is requested year after year. Make Thanksgiving placemats – you could even combine this with #25. Cook some chicken noodle soup. Or for a more southern version, try this chicken soup with dumplings. Have a pajama day. Add #10 and #5 or #6 along with some popcorn for snacking for an extra special day. Make a Halloween necklace with colored beads. Or make an edible one with various colors of candy corn. Make cinnamon sugar body scrub. Or try my easy peasy pumpkin spice latte sugar scrub. Plant an indoor herb garden. The greenery is so lovely to have around all year long, even when the outdoors is covered in snow. Play board games. Our favorites are Monopoly, Scrabble, Life, and Careers but there are plenty of new ones out there to try too! If you need suggestions, Stay-at-Home-Gamers is a great website to check out. Dance to Halloween classics. Try Monster Mash or teach your kids to do the Thriller dance! Dress up and model your costumes. How about making some parts on your own? 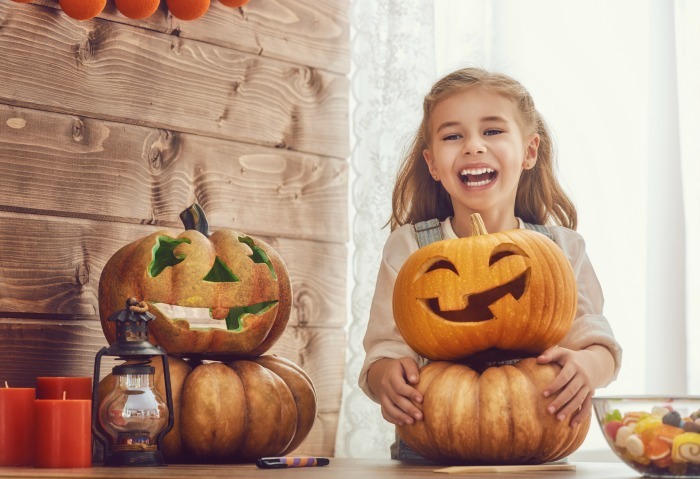 There are so many fun and exciting outdoor fall activities to participate in over the autumn months, but when the weather gets a little unpredictable it can sometimes become a little more difficult to come up with ideas to keep your family busy (and smiling). 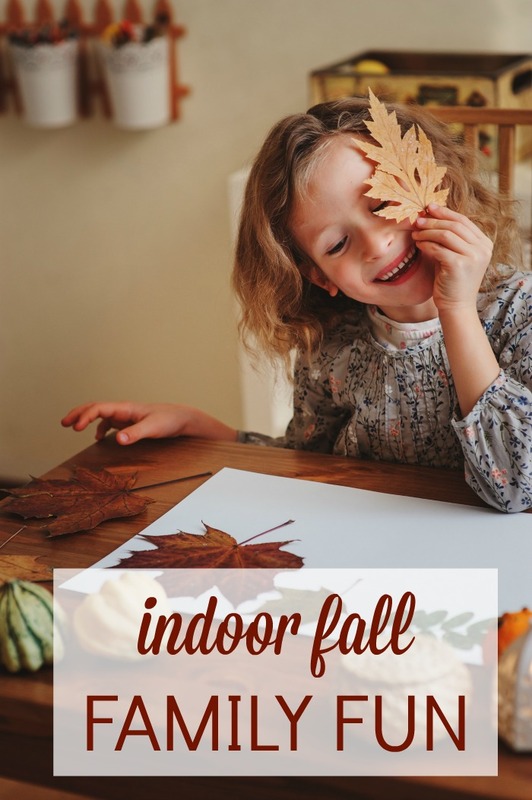 The truth is, there are plenty of options for indoor fall family activities that are sure to keep everyone warm, grateful, and having fun. Get creative and crafty, cook and bake up some delicious seasonal foods and take advantage of your adventurous side. There is something for everyone.